Many operating systems and recovery soft wares are coming in ISO format. 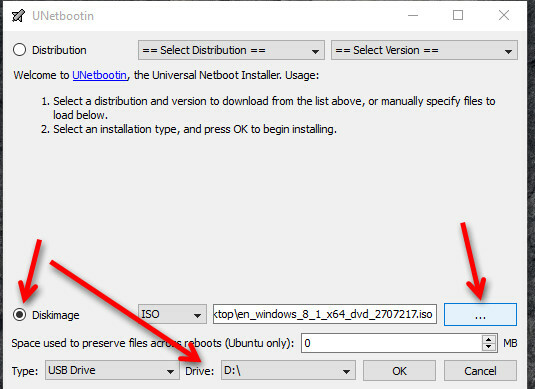 We can create a bootable DVD or Bootable pendrive with that ISO file. recently, windows 10 operating system released with an ISO download facility. This short guide gives you information about creating a bootable pen drive or flash drive. Download the ISO file from official websites. The file extension for this is "filename.iso". 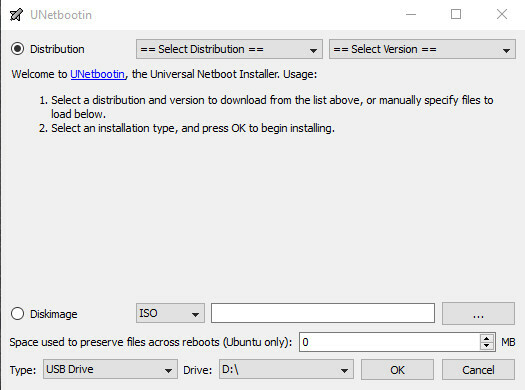 If you are using windows or linux or mac operating systems, download unetbootin from official site, open the software in your computer. If you don't know the ISO distribution type or If you want to create a disk with Windows 10, select "Diskimage" radio button. Next Insert the pen drive and select the location of the ISO file. click on OK. 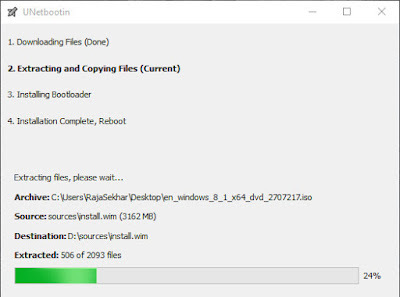 Wait till completion of the copying files to the pen drive. It will automatically creates a boot sector on pen drive to load at booting stage of your computer. After finishing the installation on pen drive, click on exit and remove the pendrive. No need reboot instantaneously. If you want to upgrade to windiows 10, just open the pendrive and double click on the setup file. If you want to do fresh install of windows or linux, restart your system and boot with pen drive. You can press F10 (might vary from system to system) at boot to display boot options. If it is not appeared, you required to change the boot options by pressing F2 at startup to modify BIOS settings.